Time to brush up on "The Power of Screams". 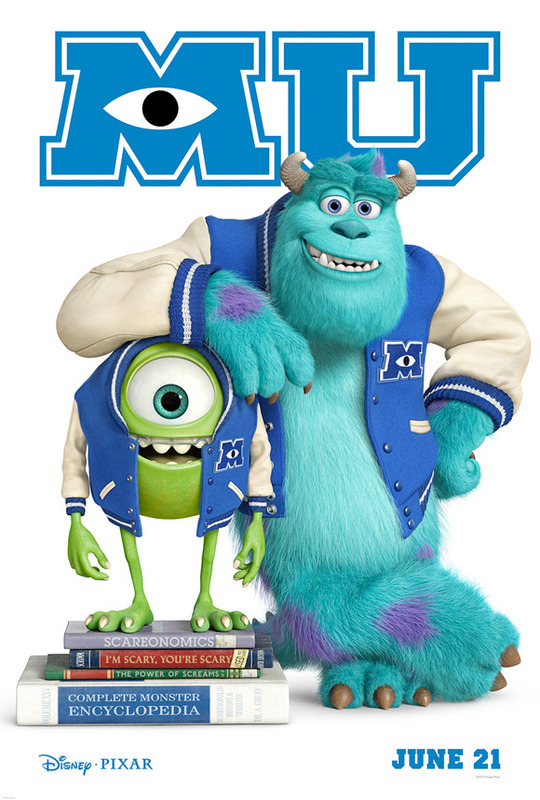 Another teaser poster has just been unveiled by Disney today (via Fandango) for Pixar's new prequel Monsters University, introducing us yet again to the lovable monsters Mike and Sulley (and many others). This time we meet them at MU, Monsters University (which has its own full-fledged college website), where they first become friends and learn the ways of scaring and even comedy. I love the young, hip spunky (and colorful) hairdo Sulley has and how much Mike is getting beat up already. This is going to be an awesome prequel, hopefully as good as the original. In fullsize below. Update! 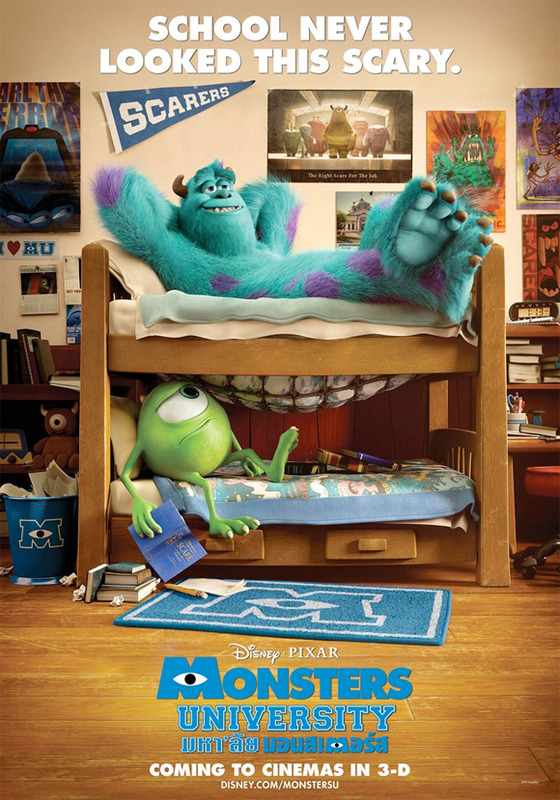 An alternate Thai poster has arrived via IMPAwards with Mike & Sulley on bunk beds - awesome! Pixar's Monsters University is being directed by Dan Scanlon, who went from animator to storyboard artist to writer to co-director on Mater and the Ghostlight, making his feature directorial debut. This is a prequel to Pixar's animated movie Monsters Inc, originally released in November of 2001. Disney has Monsters University scheduled for release in Digital 3D everywhere June 21st, 2013 next summer. Visit MU.com. 12 years between the original and the prequel..... is that a record? is Prometheus actually a prequel though? I remember Ridley Scott saying earlier that it takes place in the same universe as Alien, but's it' not a direct prequel. One eye symbolisim, why oh why.....!! Beware of what you allow your kids to see if you don't want them to get manipulated in this corrupt world. Like a cyclops or a pirate, these luminatazz is evrawhere!!! Bewares their powaz, they in kids cartoons with their super secret weaponries! I really wish grown adult men looked to the real world instead of constantly losing themselves in symbol spotting bordering on a mental health disorder.